This year, more than ever, you guys have been interested in creating autumn / winter crowns! It's a great activity to enjoy for a hen do leading up to a autumnal or winter wedding. We use beautiful faux leaves, berries and foliage at this workshop to ensure the seasonal crown you create on the day is long lasting and can be worn by the Bride, her Bridesmaids and Flower Girls on the big day itself. But this session is also proving popular for festive and contemporary winter solstice events too. We know from experience our flower crown making events are a huge success when organised as a creative immersive event experience with a striking and bold visual impact. 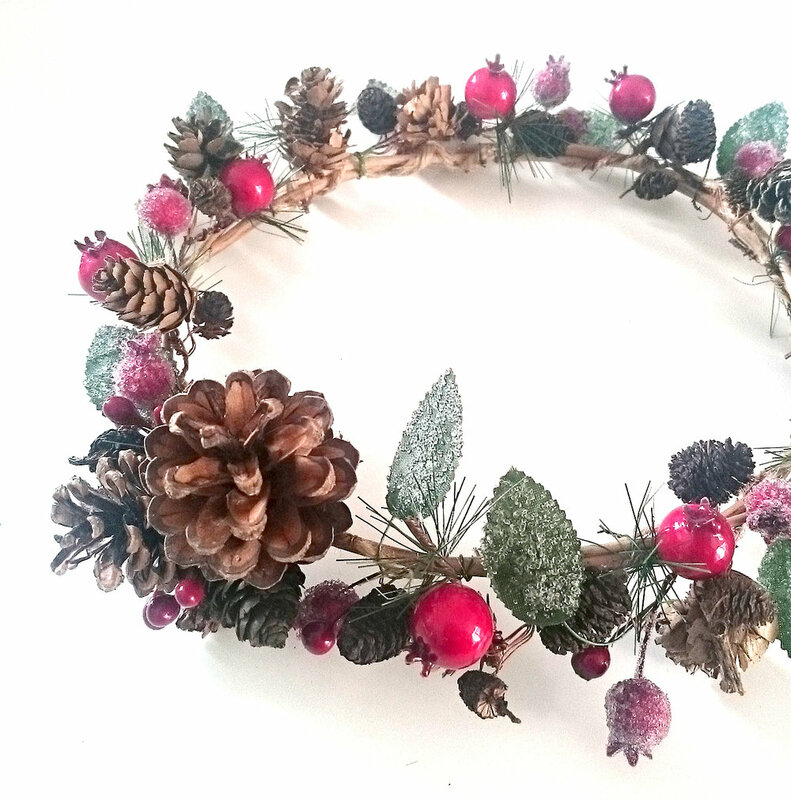 And our seasonal version to making chic winter crowns is no different! If you want to know more about our autumn and winter flower crown making workshops then come say hello and tell us all about the your plans. This seasonal crafty party is perfect for enjoying with friends and family for a hen party at this time of year as the nights draw in. And also for engaging festive marking events too, all available nationwide remember! Availability for this workshop is limited, so get in touch today before you miss out! Newer PostAutumn Crafts with B&Q - Come join in this half term!